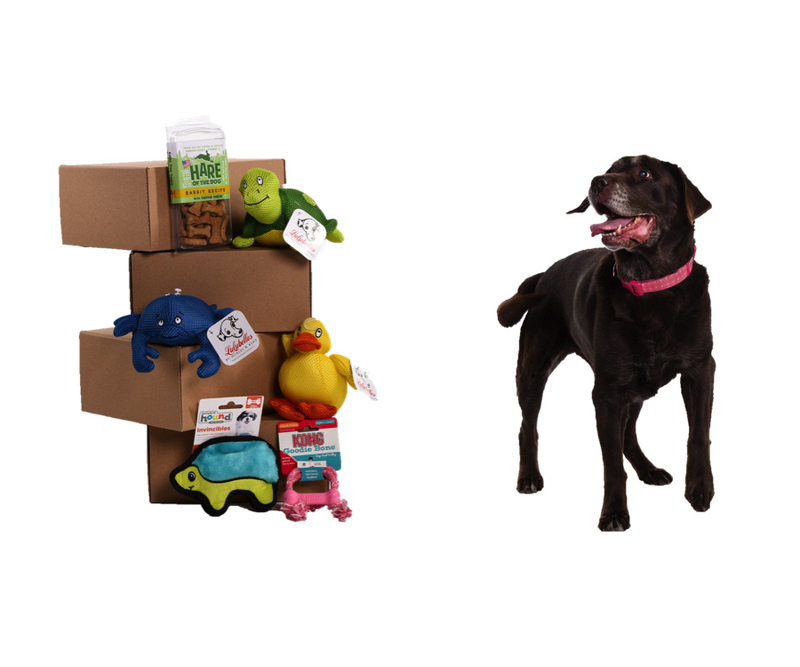 Monthly dog subscription boxes are a fun and easy way to make sure your large dog always has plenty of toys and treats without the need to run to the pet store. Each subscription box sends you a new selection of treats and toys each month. Some boxes include other items besides treats and toys, while others allow you to choose only treats or only toys. 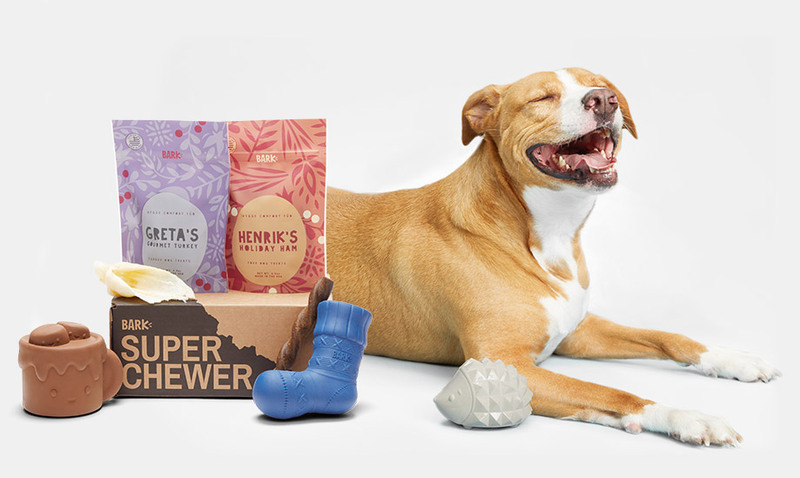 The choices, pricing, and variety can make it difficult to choose the best subscription box for dogs, especially if you have a large dog who destroys the plush toys that are often included. That’s why we’ve compiled this list of the 5 best monthly subscription boxes for large dogs. Number of products per box. How many products are you getting each month? Depending on the company and the plan that you choose, boxes may include anywhere from 4-9+ items each month. Make sure you know what you’re paying for. The quality of products. Where are the treats and toys made? 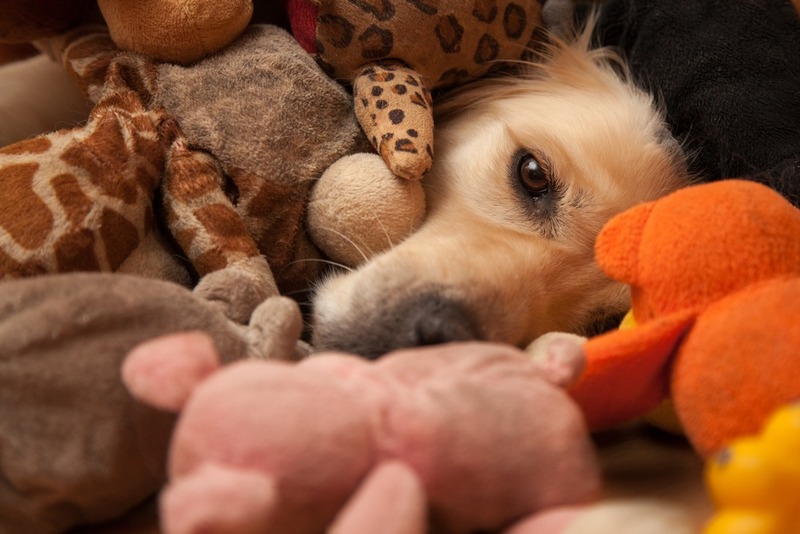 Is there a replacement guarantee for toys that your dog destroys? Are they average quality products or premium quality products? Customization of the boxes. How much customization can you do? Are there options for grain-free treats or other special dietary needs? Can you request only tough toys for your extreme chewer? Delivery plans. Are you required to sign a contract for one box a month for a year? Can you cancel at any time? Can you choose to only get boxes every other month or once a quarter instead of every month? Customer service. How responsive is the company if you have a problem? Are they eager to help you find the plan and products that are the best fit for your dog, or do they try to force you into a long contract? BarkBox is one of the most well-known subscription boxes tailored specifically for dogs, and their Super Chewer Box includes super durable toys and is perfect for large dogs who will destroy a plush toy within minutes. Each month, the box includes 2 fluff-free tough toys, 2 full-size bags of treats that are made in the USA or Canada, and 2 all-natural meaty chews. Each box contains more than $45 worth of products. They have a 100% satisfaction guarantee, so if your dog destroys a toy within 30 days, they will replace or refund it with no questions asked. Each month, the box has a different theme. Previous themes have included: The Knights of the Hound Table, Paradise Unleashed, and Age of the Furaoh. There’s free shipping in the 48 contiguous states. Treats are all-natural and never contain wheat, corn, or soy. An allergy-friendly box is available with treats that exclude beef, chicken, and turkey. You can talk to their customer service if your dog has other allergies. Ability to add a third toy for an additional cost. Allergy-friendly treats available upon request. Occasional special offers. As of writing, they were offering a Valentine’s Day special where the first box of a 6- or 12-month subscription is only $9. Treats are made in the USA or Canada and never contain wheat, corn, or soy. You can get a replacement toy or a refund for a toy your dog manages to destroy within 30 days. If you sign up for a 6- or 12-month subscription, you will be charged every month of the subscription term, even if you cancel your membership before the end of your contract. Not many ways to customize the box. BarkBox Super Chewer Box is a solid option for most large breed dog owners. It’s not ideal for owners who want more customization, and you are required to pay for the entire length of a subscription – even if your dog passes away and you cancel deliveries. 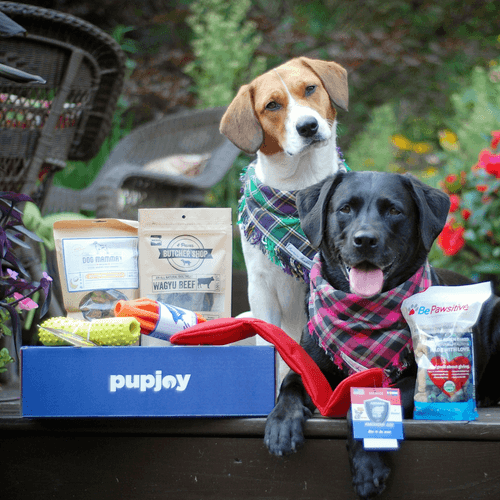 PupJoy is one of the most customizable monthly subscription boxes for large dogs, which makes it a great option for dogs with food sensitivities. If you stop your subscription early, you’ll get a prorated refund. 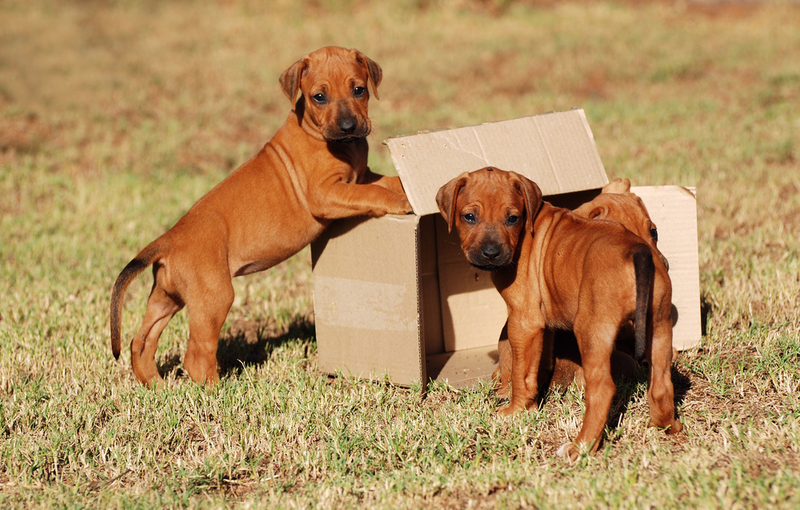 Regular PupJoy boxes come in the Uno size, which contains 5 items per month, or the Grande size, which contains 7 items per month. The website is unclear about how many items come in the Power Chewer box each month. Other treat options apart from the standard all-natural treats have an additional monthly cost. If you have a gentle giant, there are different pricing options available for the regular PupJoy box. $2 of your PupJoy Box purchase is donated to the BISSELL Pet Foundation. 100% of every donation helps over 3,700 rescue organizations reduce the number of animals in shelters. No contracts, even on multi-box plans. Pro-rated refunds if you decide to cancel. PupJoy Perks© lets you accumulate points for each purchase that you can use for discounts on subscriptions and purchases. You even get $20 for every friend you refer. All-natural treats contain no chemicals or unnatural additives and are made in trusted countries like the US, Canada, Argentina, Iceland, and New Zealand. If you have a dog with food allergies or other issues, the amount of customization with PupJoy is brilliant. It’s much easier to cancel subscription plans than it is with other companies, and you can earn reward points to use on future purchases or subscriptions. 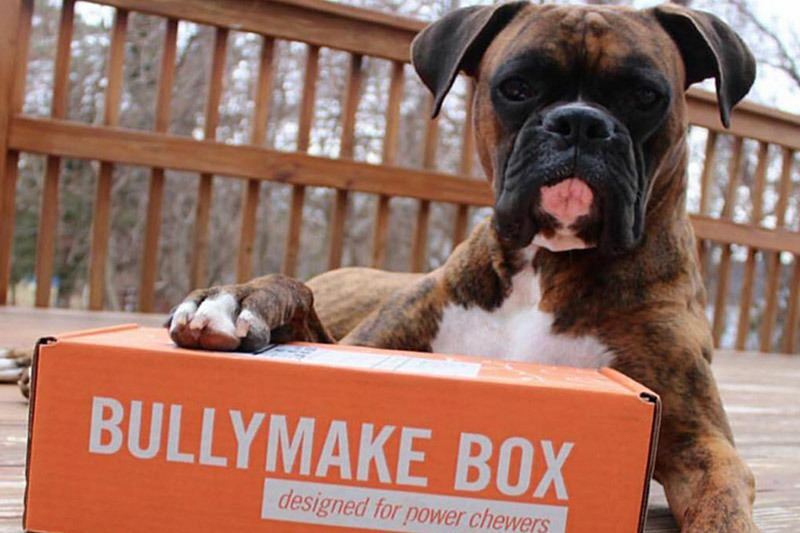 Bullymake was specifically created for power chewers and only includes durable chew toys in their boxes, setting them apart from other companies where you have to specify that you have a power chewer. If you have a dog who’s a heavy chewer, Bullymake is a great option. It’s especially handy if you have a dog who prefers specific types of toys over other since you can specify what types Bullymake should send. Most of the information on the site is about the toys rather than the treats, but they do have a toy-only option if that’s a concern of yours. Cuddle Crate takes customization to the next level, allowing you to create boxes for not only different size dogs, but even for different types of pets. Bronze Crates receive 4-5 products, Silver Crates receive 6-8 products, and Gold Crates receive 9+ products! Silver members can select up to two pet types, and gold members can select up to 3 different pet types. Crates can be customized to include goodies for 4 different sizes of dog, as well as a cat, gerbil/hamster, or rabbit/guinea pig. With some of the best customization options in the industry, Cuddle Crate is one of the best monthly subscription boxes. However, since they don’t guarantee tough toys, they may not be the best option for power chewers. If you have a dog who just has to have his bully sticks, you know how expensive they can be. It’s also a hassle to go to the pet supply store all the time to make sure your pup doesn’t run out. Bully Bundles is a monthly subscription box that only includes bully sticks sourced from USDA & FDA approved South American grass-fed, free-ranging cattle that are raised without the use of hormones or antibiotics. 6” bully stick subscriptions range in price from $13 per month for 6 sticks to $89 for 60 sticks. 12” bully sticks range in price from $23 per month for 5 sticks to $100 per month for 30 sticks. If you have a pup who loves bully sticks, it’s hard to beat Bully Bundles. A monthly supply arrives each month without you having to think about it, so you never need to run out. Have you tried a monthly subscription box for your large dog? Did you like it or not? Share your experience in the comments to help our readers find the best box for their needs!